Please let us know your thoughts about your week of camp by filling out our online camp evaluation form. Your feedback and suggestions are very important to us and will help us continually improve our programs! Thank you for sharing your children with Slide Ranch! We loved having them here and want to share some of the highlights and photos of all that we did together. 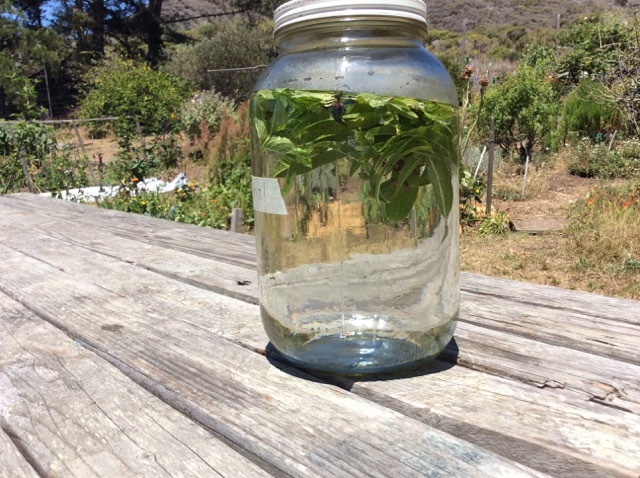 This week at Slide Ranch, campers explored as Nature Detectives! They made friends with all the animals: milking goats, stalking sheep, and meeting our brand new baby chicks. On the trails, kids investigated the range of natural habitats, finding clues about all the wild animals that live in our coastal ecosystem. Camp groups made nature art, stacking rocks at the beach and patiently balancing them on cantilevered driftwood, making sculptures with beach clay, weaving with natural materials on a large loom, and learning about skeletal anatomy by re-creating bony animals at Bone Grove. 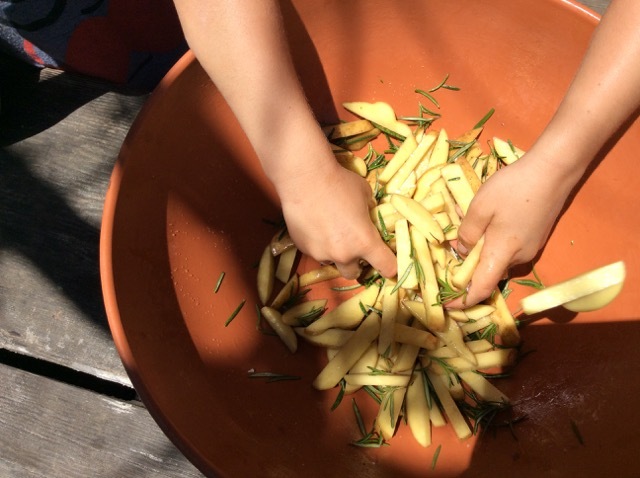 In the garden, kids harvested potatoes and rosemary and made delicious french fries. 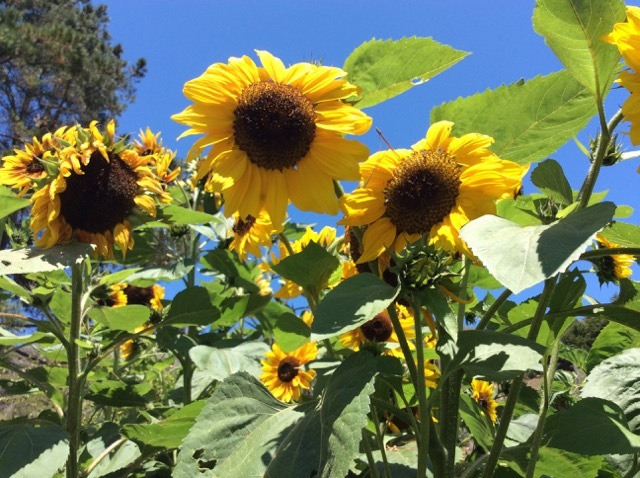 They made seed balls by collecting seeds from calendula and poppies and mixing it with worm castings. They also turned rhubarb into tasty crisps and made refreshing garden popsicles. 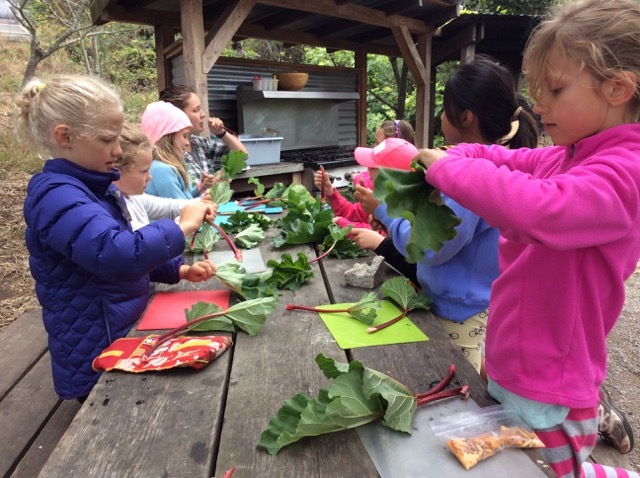 What a wonderful week full of rich sensory experiences and nature exploration. A big thank you to all the campers and everyone at Slide Ranch for being such good stewards of the land and animals! We hope that every child has special memories of Slide Ranch and the things they learned here. We hope to see you at one of our upcoming family programs and festivals for a day of family fun or even to volunteer. 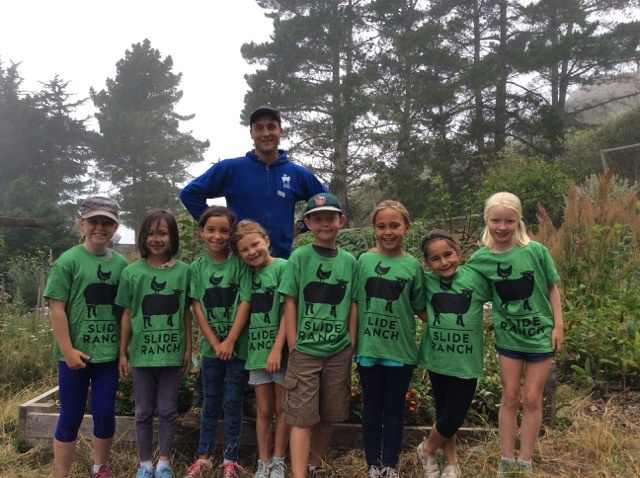 Did you know that every program at Slide Ranch is subsidized by donations? 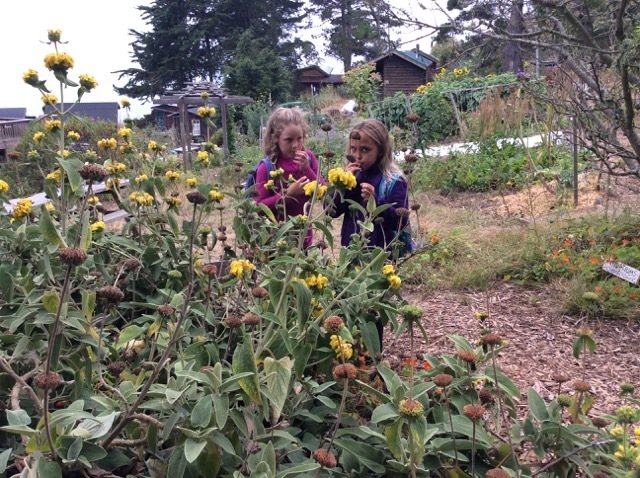 Your gift of any size directly supports our education programs so that all Bay Area children may have equal access to nature education. 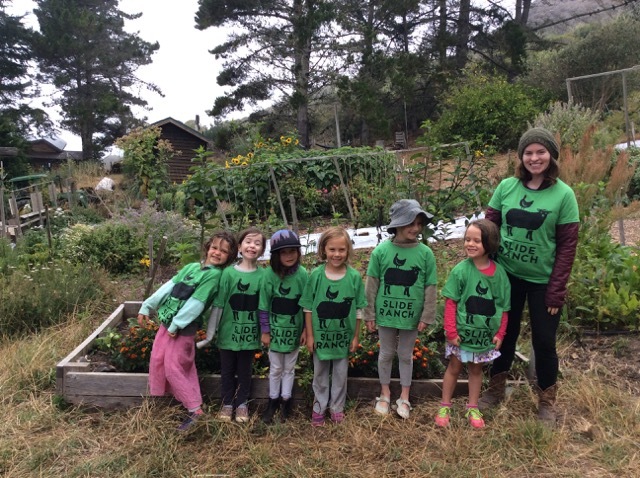 You can also show your love of Slide Ranch by purchasing a custom t-shirt adorned with one of our beloved animals! 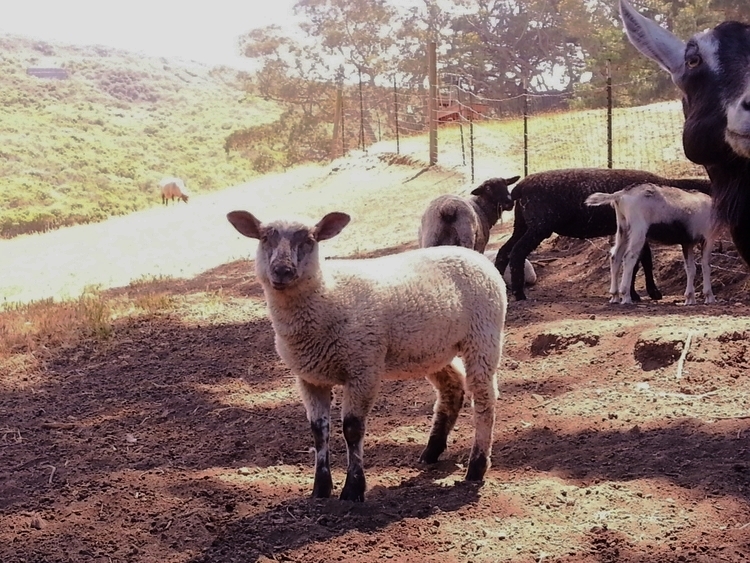 Each purchase donates $25 to feed and care for Slide Ranch's animals. 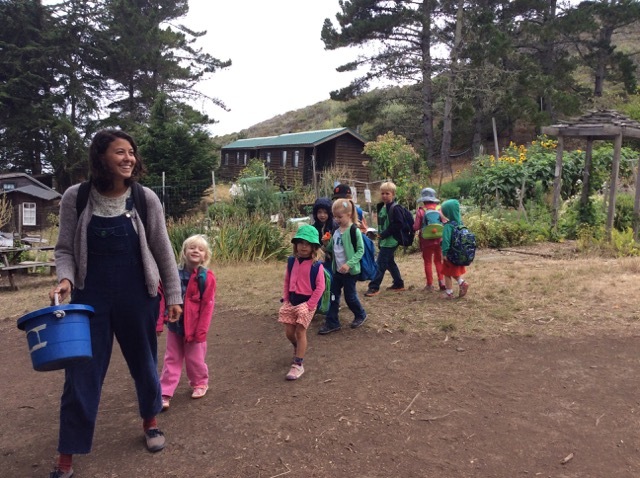 Want to learn more about Slide Ranch's curriculum? Read our blog to learn about our advanced teaching internship program and its impact on your child's camp experience.